. Scherle P A, Ma W, Lim H, et al. Regulation of Cyclooxygenase-2 Induction in the Mouse Uterus During Decidualization AN EVENT OF EARLY PREGNANCY[J]. Journal of Biological Chemistry, 2000, 275(47): 37086-37092.
. Radwanska K, Caboche J, Kaczmarek L. Extracellular signal‐regulated kinases (ERKs) modulate cocaine‐induced gene expression in the mouse amygdala[J]. European Journal of Neuroscience, 2005, 22(4): 939-948. Ramos-Miguel A, Esteban S, García-Sevilla J A. 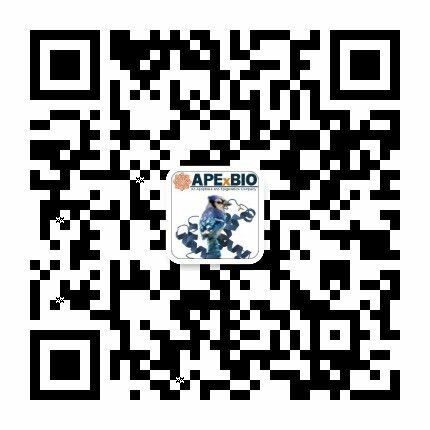 The time course of unconditioned morphine-induced psychomotor sensitization mirrors the phosphorylation of FADD and MEK/ERK in rat striatum: role of PEA-15 as a FADD-ERK binding partner in striatal plasticity[J]. European Neuropsychopharmacology, 2010, 20(1): 49-64.
. Radwanska K, Caboche J, Kaczmarek L. Extracellular signal-regulated kinases (ERKs) modulate cocaine-induced gene expression in the mouse amygdala. Eur J Neurosci, 2005, 22(4): 939-948.
. Ramos-Miguel A, Esteban S, García-Sevilla JA. The time course of unconditioned morphine-induced psychomotor sensitization mirrors the phosphorylation of FADD and MEK/ERK in rat striatum: role of PEA-15 as a FADD-ERK binding partner in striatal plasticity. 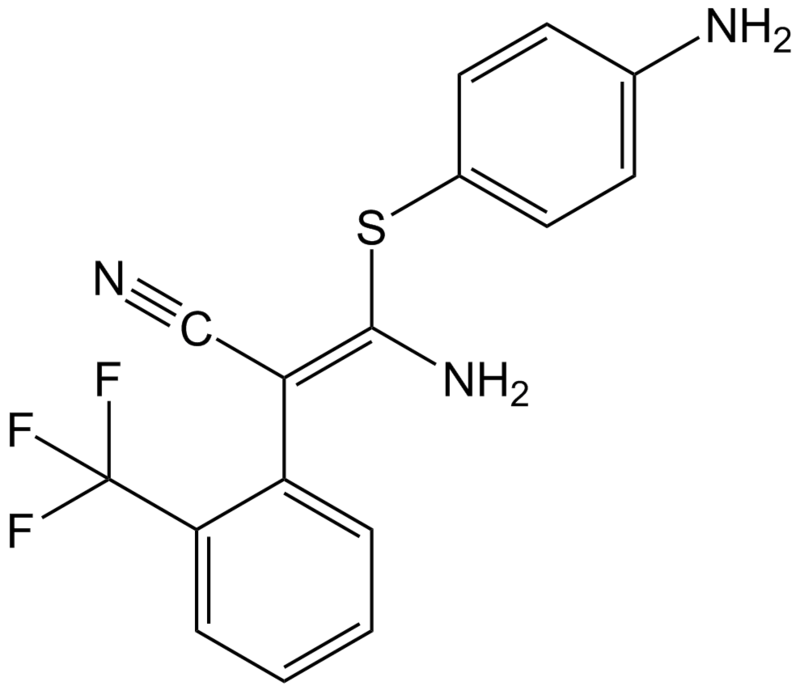 Eur Neuropsychopharmacol, 2010, 20(1): 49-64.
. Groblewski PA, Franken FH, Cunningham CL. 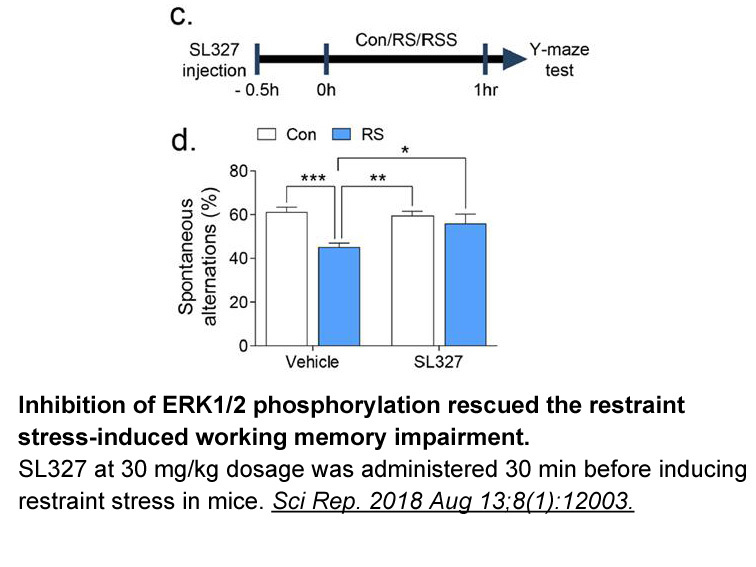 Inhibition of extracellular signal-regulated kinase (ERK) activity with SL327 does not prevent acquisition, expression, and extinction of ethanol-seeking behavior in mice. Behav Brain Res, 2011, 217(2): 399-407.
. Davis S, Vanhoutte P, Pages C, et al. The MAPK/ERK cascade targets both Elk-1 and cAMP response element-binding protein to control long-term potentiation-dependent gene expression in the dentate gyrus in vivo. J Neurosci, 2000, 20(12): 4563-4572.